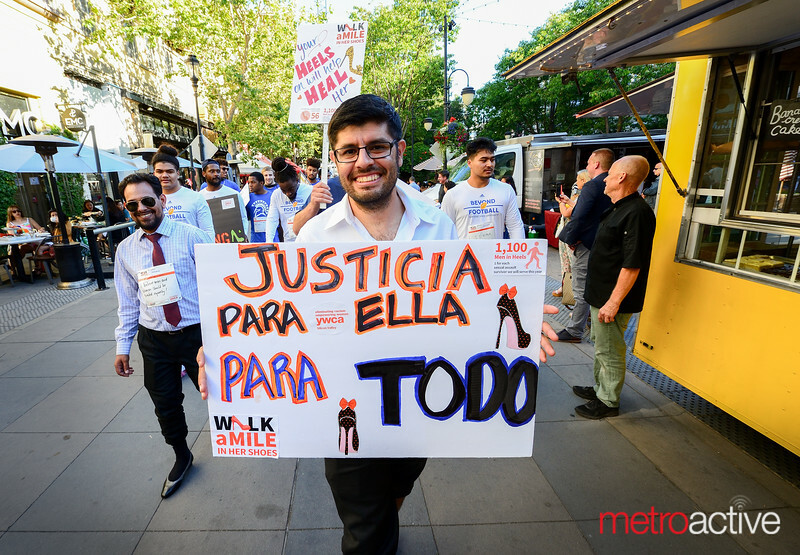 YWCA's Walk A Mile In Her Shoes, brave men of Silicon Valley walk in women's heels to raise awareness and funds to end violence against women. The San Jose event was held in and around Santana Row. 20 June 2018.